Oklahoma is home to four mountain ranges and no other state has as many man-made lakes. It is larger than people tend to think and is home to a population of people that are truly great. The honey bee is the state insect, and there are a lot of great roads to cruise down all over the state. Getting car insurance in Oklahoma should be on everyone’s list of things to do. We all want to be able to cruise down the scenic roads legally and with auto insurance protection. 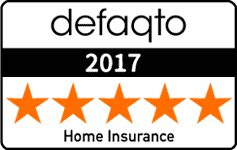 Getting the cheapest insurance to cover your needs is simple, we provide free quotes right here. Saving money has never been easier. Read on to get more information that everyone that drives in Oklahoma should know. Penalties for driving without these minimum limits on insurance can include a fine of up to $250, thirty days of jail time, suspension of your driver’s license, suspension of your vehicle registration. Collision: This covers damages to your car in a collision. Protect yourself from having to pay for damages for your car, or having to pay for a new car. Comprehensive: This helps protect your car by paying for damages from sources other than cars. A few examples of things that may be covered by this insurance include theft, fire, and damage from animals. Medical Payments: This covers your medical expenses when they are from a traffic accident. Uninsured Motorist Coverage: If you are hit by a driver that has no insurance, this helps cover your expenses. All of these additional coverages help protect you as a driver from having large expenses to yourself or your property when an accident occurs. You can also increase other insurances as well. It is not rare for lenders and companies that lease cars to require collision and comprehensive cars to protect your (and their) investment. If a police officer pulls you over in the state of Oklahoma, they will ask you to provide proof of insurance. In addition, you will be required to provide it when you register your vehicle. For car insurance in Oklahoma, you want the best insurance rates. We provide free quotes and can help you find the cheapest car insurance that has the coverage you want. Driving without insurance can cost a lot of money and puts people at more risk. When you make sure you have the protection you need, everybody wins. Contact us today!